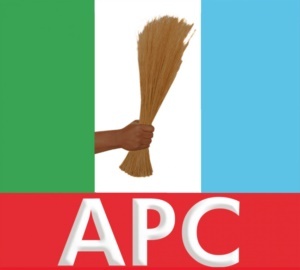 Opposition parties in Lagos State have formed an alliance to challenge the All Progressives Congress ( APC ) in the 2019 elections. The Chairman of Alliance for Democracy ( AD ) in the state, Mr Kola Ajayi, made the disclosure on Saturday in an interview with the newsmen in Lagos. He said that the “Star Alliance “was recently formed with the objective of providing what he called a credible alternative to the APC. Ajayi, the Chairman of the alliance, listed some of the parties in the coalition as AD, MEGA, Action Alliance and New Nigeria People’s Party. According to him, the others include People’s Progressive Party ( PPP ), People’s Redemption Party ( PRP ), Democratic Alternative and Accord. Ajayi said that the People’s Party of Nigeria, People ‘s Alliance for National Development and Liberty, People’s Democratic Movement and Legacy Party of Nigeria were also part of the alliance. He claimed that APC had yet to meet the aspirations of Lagos residents, hence, the need for a credible alternative. “We formed this coalition to provide a credible platform on which to deliver good governance to the real people at the grassroots. “We think Lagos residents deserve better and we should come together and give them the kind of government they want,’’ he said. He urged the residents to embrace the coalition which, he said, was formed for the masses. The coalition chairman said that the parties in the alliance had been meeting regularly on the strategy to employ to win Lagos in 2019. He said that the coalition would soon reach out to residents especially those at the grassroots on its development agenda. The state Chairman of NNPP, Malam Shakirudeen Olofin, also told the newsmen that the alliance was formed to give residents a `better deal’. He said that the coalition was the `Lagos Third Force’ with the intention to bring real governance to the state. Also confirming the alliance, the state Chairman of MEGA Party, Mr Oladele Idowu, said that the coalition was formed to deliver `real’ change to the state in the interest of residents. Lagos State Chairman of Action Alliance, Mr Shola Omojola, also told the newsmen that the opposition parties were discussing strongly in the alliance to give the state residents a better deal.